Purchases for this Add-On have been temporarily disabled. Please check back later. 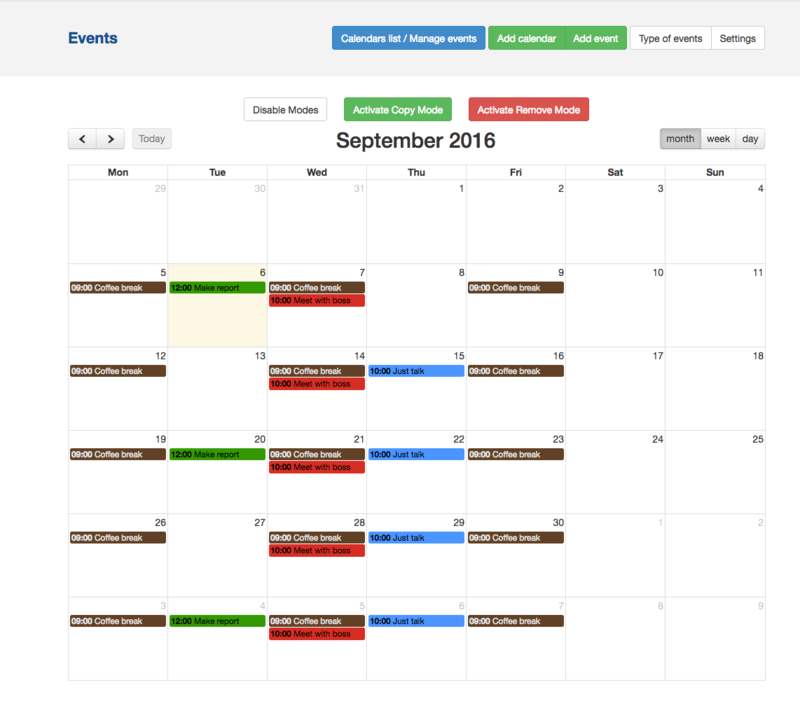 dsEventCalendar PRO is simple add on to create calendar with events and display it on page as block. First, go to dashboard and add calendar in "Add / edit calendar" . After that you can create new event in "Add / edit event" connected with new added calendar (choose from select). If you did this, go to page and add new block called "Event Calendar" and select calendar. My addon make problem with Automatic Email Obfuscator . It change email and Google Calendar doesn't work. Also if you use in description it may crash. Support Response: Replies to tickets once a week or so.